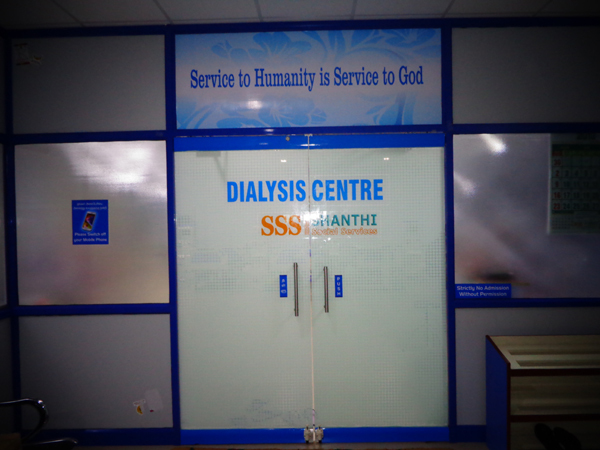 This World class ultra-modern Hemodialysis centre was started on 16th August 2013. 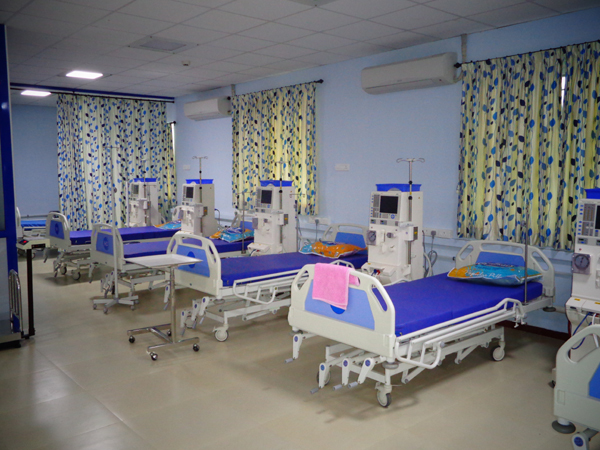 Economically weaker patients with chronic kidney disease can utilize this facility at highly subsidised cost. 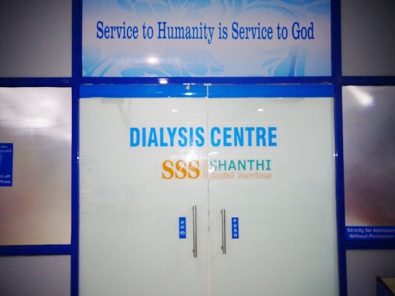 One of the senior most dialysis consultants is in-charge of the Dialysis centre. 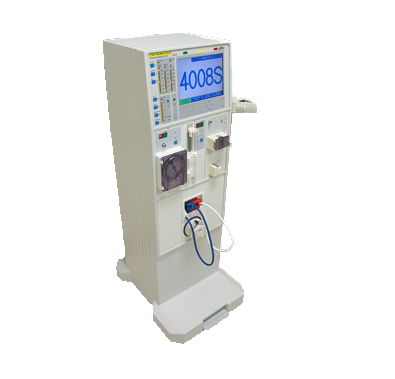 The next generation 4008S Dialysis machine offering the highest standards of patient safety & treatment hygiene is used. 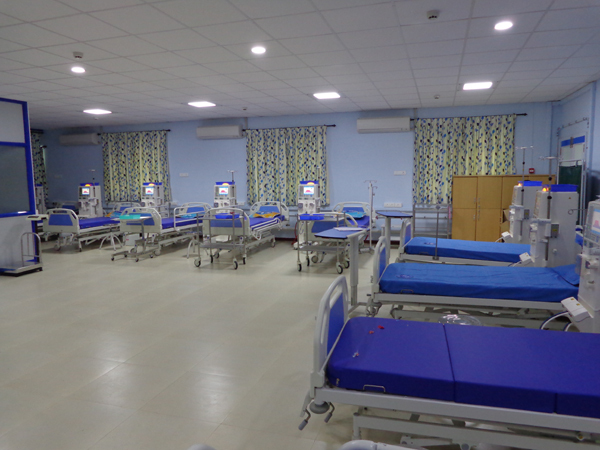 Imported Central Reverse Osmosis Water Treatment system for Safe Dialysis operation is used which meets the recommendations set down by AAMI. Fully Automated Dialyser Reprocessing system is used. New blood tube is used for every dialysis. 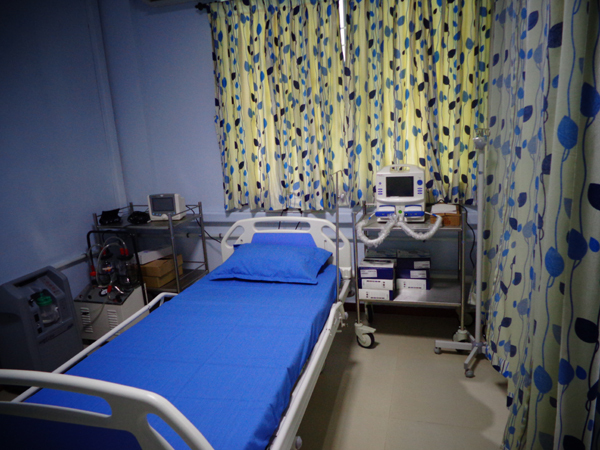 Equipped ICU and CPR trained technicians are available to take care of the patients. 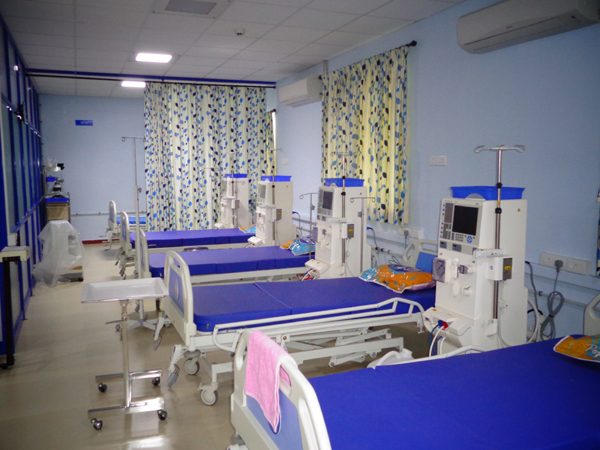 All the patients are seen by a dietician and diet advice is given as per medical officer’s advice. 7 AM to 7 PM, 6 days a week (Sunday holiday).